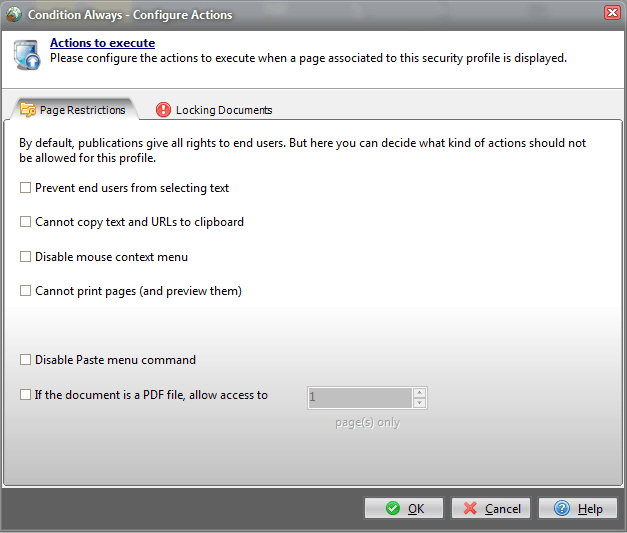 You can assign security profiles to HTML pages and PDF documents of your ebook or publication. 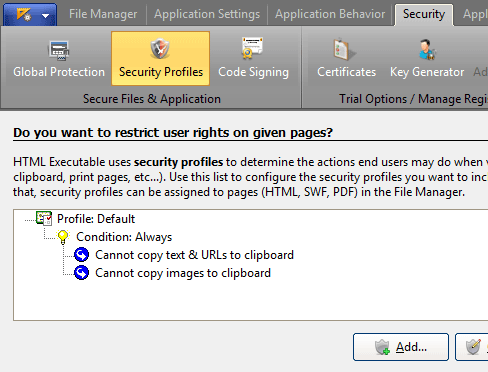 A security profile will determine whether a page may be accessed (given some conditions) and what end users are allowed to do when viewing this page. prevent users from copying HTML contents or PDF contents to the clipboard. prevent users from selecting text. turn printing of pages on or off. allow or disallow pages to be indexed by the built-in search function ("searchable" page). disable the mouse context menu. By default, ebooks do not have the "Show source code" menu command in their context menu, so end users cannot access the source code of your HTML pages. You can also lock the pages you want and define conditions to fulfill so that the end user unlock them (password to enter, etc...). For instance, create demo or trial ebooks and have locked specific pages with a password, which forces end users to buy the ebook in order to access the remaining pages. Single or groups of pages may be locked differently. 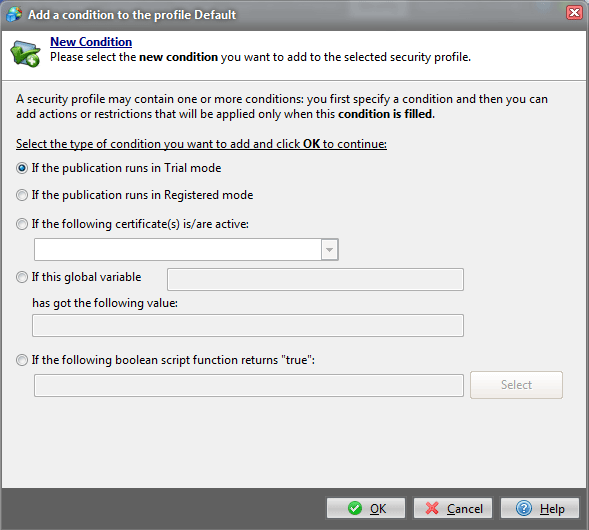 You can create your own conditions using scripting. Do not allow end users to copy text from locked pages.